The latest Chesterfield magistrates’ court results as published in the November 26 edition of the Derbyshire Times are listed below. Matthew james Fisher, 20, of Chesterfield Road, Matlock. Indicated a guilty plea to possessing cannabis, a class B drug. Fined £80 and must pay a £20 victim surcharge, £85 costs and £180 courts charge. Martin Andrew Porter, 28, of Main Street, Shirebrook. Indicated a guilty plea to possessing 0.4grammes of cannabis, a class B drug. Fined £80 and must pay a £20 victim surcharge and £85 costs and a £180 courts charge. Indicated a guilty plea to possessing 2.5grammes of amphetamine, a controlled class B drug. No separate penalty. Lee Kellett, 40, of Chapel Road, Grassmoor, Chesterfield. Indicated a guilty plea to possessing 1gramme of cannabis, a controlled class B drug. Discharged conditionally for 12 months and must pay a £15 victim surcharge and £85 costs and a £180 courts charge. Richard Geoffrey Graham, 31, of Green Chase, Eckington. Pleaded guilty to exceeding the alcohol drink-drive limit. Fined £925 and must pay a £93 victim surcharge and £85 costs and a £150 courts charge. Disqualified from driving for 26 months. Darren Ritchie, 27, of Chesterfield Road, Shuttlewood. Pleaded guilty to permitting someone to use a vehicle when there was not in force a policy of insurance. Pleaded guilty to wasting police time by making a false report showing that an offence had been committed. Community order to last until November 13, 2016, with a rehabilitation activity requirement and 100 hours of unpaid work. Must pay a £60 victim surcharge and £85 costs and a £150 courts charge. Driving record endorsed with seven points. John Ryan, 25, of Alma Street, Chesterfield. Pleaded guilty to keeping an unlicensed vehicle on a public road. Fined £84 and ordered to pay vehicle excise back duty of £36.67 and £90 costs. Daniel Lee Barratt, 22, of Mawstone Lane, Bakewell. Pleaded guilty to exceeding the alcohol drink-drive limit. Fined £250 and must pay a £25 victim surcharge and £85 costs and a £150 courts charge. Disqualified from driving for 18 months. Pleaded guilty to using a vehicle without insurance. Fined £250. Craig Andrew Morrison, 24, of Turner Drive, Inkersall, Chesterfield. Pleaded guilty to using a vehicle without insurance. No separate penalty. Pleaded guilty to being the driver of a vehicle owing to the presence of which an accident occurred whereby damage was caused to another vehicle. Fined £120 and must pay a £20 victim surcharge and £85 costs and a £150 courts charge. Driving record endorsed with seven points. Pleaded guilty to driving without due care and attention. Fined £80. Vasile Cosmin Manea, 34, of Henry Street, Chesterfield. Pleaded guilty to exceeding the alcohol drink-drive limit. Community order to last until November 16, 2016, with 60 hours of unpaid work. Must pay a £60 victim surcharge, £85 costs and a £150 courts charge. Disqualified from driving for 28 months. Nicky Phillip Timothy Cann, 25, of Sutton Hall Road, Bolsover. Pleaded guilty to exceeding the alcohol drink-drive limit. Pleaded guilty to taking a vehicle without the consent of the owner. Community order to last until November 17, 2016, with a rehabilitation activity requirement and 120 hours of unpaid work. Must pay a £60 victim surcharge and £85 costs and a £150 courts charge. Disqualified from driving for 22 months. Drove a vehicle otherwise than in accordance with a licence. No separate penalty. Used a vehicle without insurance. No separate penalty. Nathan Mather, 23, of Dale Road, Matlock Bath. Pleaded guilty to exceeding the alcohol drink-drive limit. Fined £220 and must pay a £22 victim surcharge and £85 costs and a £150 courts charge. Disqualified from driving for 20 months. 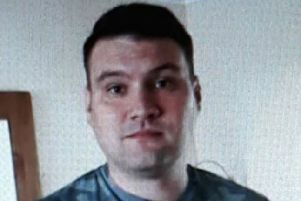 Andrew Webster, 27, of Hazel Tree Close, Ripley. Pleaded guilty to damaging a door and kitchen window to the value of £400. Must pay £400 compensation, a £60 victim surcharge, £85 costs and a £150 courts charge. Pleaded guilty to assaulting a police constable in the execution of his duty. Community order to last until November 13, 2016, with an alcohol treatment requirement and a rehabilitation activity and 150 hours of unpaid work. Tristan Aiden Wilson, 18, of Tor House, Gateway Court, Matlock. Indicated a guilty plea to having an article, namely a large folding garden knife, in a public place. Committed to detention for eight weeks suspended for 12 months with a rehabilitation activity requirement. Must pay an £80 victim surcharge and £85 costs and a £180 courts charge. Pleaded guilty to taking a cycle without the owner’s consent. No separate penalty. Brett Poynton, 29, of Kingsley Avenue, Birdholme, Chesterfield. Pleaded guilty to using threatening behaviour. Committed to prison for eight weeks suspended for 12 months with a drug rehabilitation requirement. Must pay an £80 victim surcharge, £85 costs and a £150 courts charge. Daniel Richard Clark, 22, of Valley Road, Shirebrook. Pleaded guilty to stealing food valued around £30 belonging to Co-op. Must pay £30 compensation and a £180 courts charge. Pleaded guilty to stealing food valued around £36 belonging to Tesco Express. Must pay £36 compensation. Pleaded guilty to stealing food valued around £40 belonging to Co-op. Must pay £40 compensation. Conviction of an offence while a community order for the offences of theft and failing to surrender was in force. Dealt with for the original offences which were subject to the order of theft and failing to surrender. Committed to prison for 16 weeks suspended for 18 months with supervision and a thinking skills programme and a rehabilitation activity requirement and 40 hours of unpaid work. Shaun Donald Nicholson, 45, of Harehill Road, Grangewood, Chesterfield. Pleaded guilty to stealing Lacoste Fragrance valued at £50 belonging to Debenhams. Discharged absolutely. Must pay £50 compensation. Nicholas Ridding, 34, of Queens Road, Hodthorpe. Pleaded guilty to stealing a packet of sandwiches, milk, a chocolate bar, chocolate, ham, golden syrup cakes, a pot of Espresso, two Ambrosia light custards, and six large eggs belonging to Co-op. Pleaded guilty to stealing six bottles of gin valued at £108 belonging to Sainsbury. Committed to prison for 16 weeks suspended for 12 months with a drug rehabilitation requirement. Must pay £16.34 and £108 compensation and an £80 victim surcharge and £85 costs, and a £150 courts charge. Darren Stephen Ansell, 35, of Brock Hill Court, Chapel Street, Chesterfield. Pleaded guilty to stealing four packets of cheese valued at £18 belonging to the Co-op. Discharged conditionally for 12 months. Must pay £18 compensation and a £150 courts charge. Lee John Denwood, 47, of Birchen Close, Chesterfield. Pleaded guilty to stealing meat belonging to Tesco. Discharged conditionally for 18 months. Must pay a £15 victim surcharge, £85 costs and a £150 courts charge. Commission of a further offence during a suspended sentence for two thefts. Order to continue. Carl leslie Simpson, 34, of Central Drive, Calow, Chesterfield. Indicated a guilty plea to stealing a cycle. Committed to prison for 12 weeks suspended for 12 months with a drug rehabilitation requirement. Must pay £375 compensation, £85 costs and a £180 courts charge.